Based on the S-1 filings from the business, a $3.7B price implies a 17.3x enterprise value/trailing twelve month revenue multiple, which is 41% higher than the next nearest acquisition, Salesforce/Demandware. There’s no comparable pricing event in the M&A market in the last 10 years. 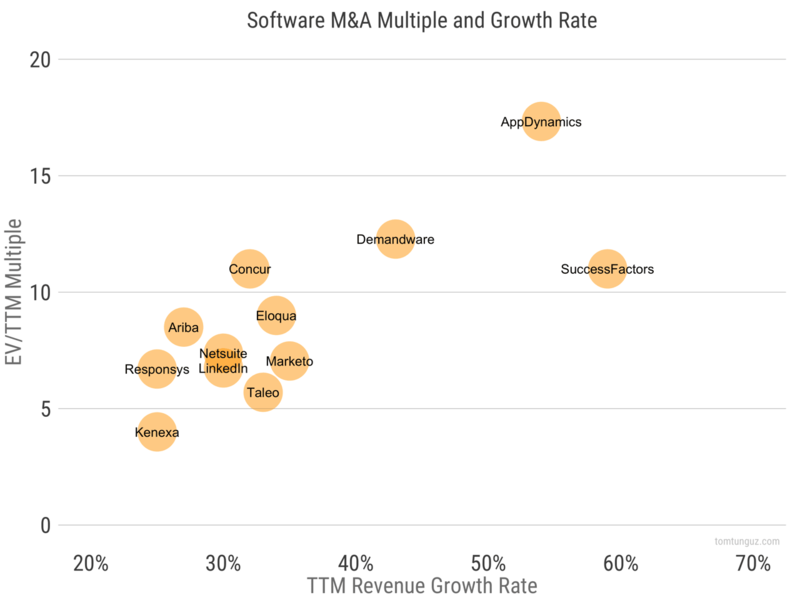 AppDynamic’s revenue growth is compelling, and as the chart above shows, only SuccessFactors was growing as quickly at M&A. However, SuccessFactors commanded a multiple of 11.0x, a distant cry from AppD’s 17x. In fact, there is no public metric that I can find to justify this massive premium over comparable acquisitions. Absolute revenue, gross margin, net income margin, cash flow margin, deferred revenue. I don’t know what happened behind the scenes, and some of it may be revealed in a future Cisco disclosure. But there are two conclusions we can draw. First, the process to acquired AppDynamics must have been incredibly competitive. Lots of auction pressure. Second, if this acquisition is any bellwether of the 2017 acquisition environment, it’s going to be a monster year. With 30-40 IPOs on the docket for 2017 - a staggeringly large class - many companies may choose AppD’s path of acquisition over going public, especially if they can command such an impressive premium. The median publicly traded SaaS company trades at 6x as of today. 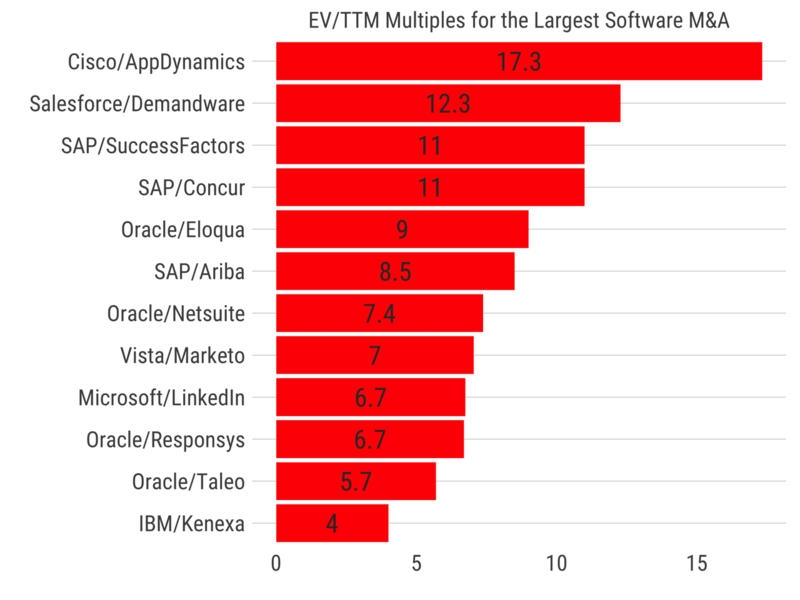 The AppDynamics multiple is nearly triple. At the top of the heap, Blackline and Shopify trade at 12-13x. If the government permits repatriation of overseas capital, and if the IPO schedule is as busy as projected, then 2017 is going to be a sensational year for acquisitions.